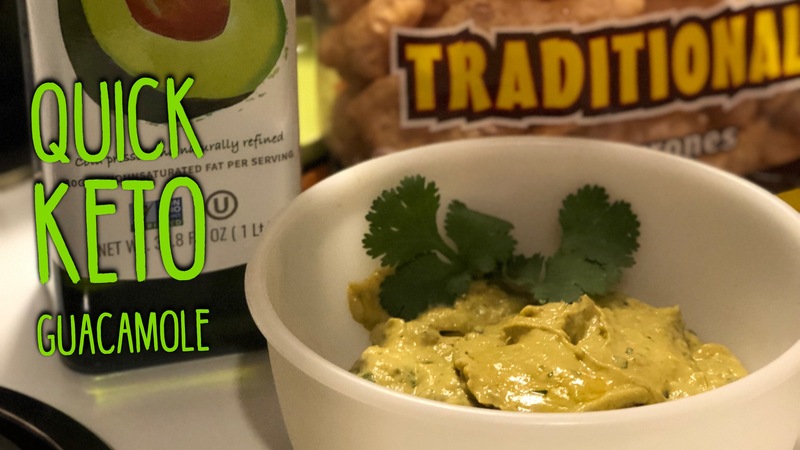 Here is a quick easy to make Keto Guacamole recipe. Great pre-dinner snack or quick party dip. 2. Scoop out the avocados and mash them *we prefer mashing them on a plate. 3. Add a 1/4 of a cup of chopped green onions *green onions are lower in carbs. 4. Add a 1/4 of a cup of chopped cilantro. 6. Salt and pepper to taste *Add Cayenne Pepper for a little kick (optional). 7. Add a 1/4 of a cup of sour cream. Serve with pork rinds or vegetables and enjoy! What is MCT Oil and Why Use It? We’ve always used MCT oil with Keto and always used this same brand. We find this brand to be consistently good quality and tasteless and a excellent price on Amazon. Here is a quick summary of what MCT oil is and why you should consider adding it to your keto diet. Medium Chain Triglycerides are considered easily digestible and beneficial fats, and instead of being metabolized through digestion like most other foods, these fats are processed in the liver. MCTs provide fast and lasting energy and are easily absorbed by the body.